Lyfts can add up fast and Lyft Line, while less expensive, can take you out of your way and make your travel time much longer. 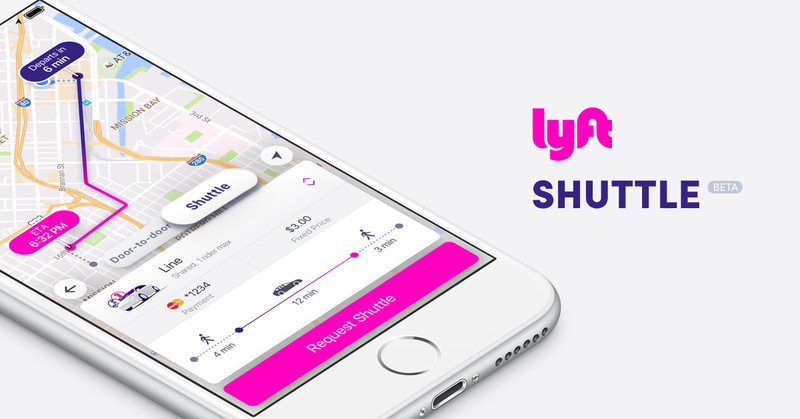 Lyft Shuttle addresses both those issues by having you walk to a nearby pick up spot, get in a shared car that follows a pre-designated route, and drops you (and everyone else) off at the same stop. So, basically, you share a ride with other people (most of the time) so your ride price is lower, but you know exactly how long the ride will take because you’re on a pre-designated route. Again, most of the world would recognize this as a bus. That said, there’s a different precedent for this service that’s a bit less well-known these days but is even more apt: jitneys. The rise of the jitney was incredibly sudden. A perfect storm started brewing in 1914, with an economic recession leaving thousands of men out of work. This was coupled with the emergence of a secondhand market that the world hadn’t seen before: used cars. Men who couldn’t find other work were now able to purchase a relatively inexpensive secondhand car and start work as a taxi entrepreneur the very same day. Again, anyone in a neighborhood not well served (for SOME reason) by public transit will be familiar with services that sure look a lot like Lyft’s “new idea.” Dollar buses, unlicensed cabs, these are revolutionary and disruptive ideas that make Silicon Valley the true house of visionary thinkfluencing we know it today. If you want to ride a Lyft Shuttle, we suggest trying the bus first. Is A Lotus Evora 400 The Closest Thing To The Original Acura NSX?